What did you write about when the teacher asked for essays on "The one place I wish I could visit?" From first to third grade I always picked The Moon then in fourth grade I met a future aunt - a peruvian woman with tales of Machu Picchu and beautiful land. Cut to 2009 and I'm ready for this trip. I originally wanted to go at the end of June when the dry season is well along and the skies are clearest (gotta have great pictures right?) but now I'm looking at this all-women's trek in September. Laugh all you want but part of the reason I never took this trip was my fear of traveling outside of the country alone. I think I would feel safer in a group of women. This looks like an amazing trip - not all touristy but a lot of camping and hiking. The downside is how often riding animals is mentioned. Needless to say - inner city me has never ridden a horse. So I'm not sure if I should find a place to take horseback riding lessons (I have no idea where) or just pick a different Peru tour. Google is giving me plenty of options which center around small plane rides and hotel stays which is the more traditional option. Anyway I'm excitedly googling. I can't believe I finally decided to do this - after 21 years of longing! Hi there-wow, this sounds awesome, definitely a trip of a lifetime-I say go for it!! 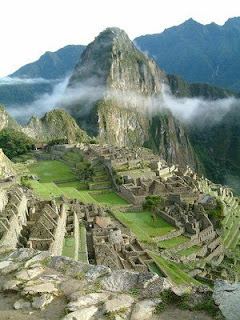 I'm kind of wavering because of the horses but will definitely get to Peru this year!